An organization that plays and sings to thousands of people throughout the country in high class vaudeville and leading hotels. We regret we haven't the names of each member but can say that they all play Conn Saxophones. Read Mr. Glenn Burr's letter: "We have seven Conn saxophones. 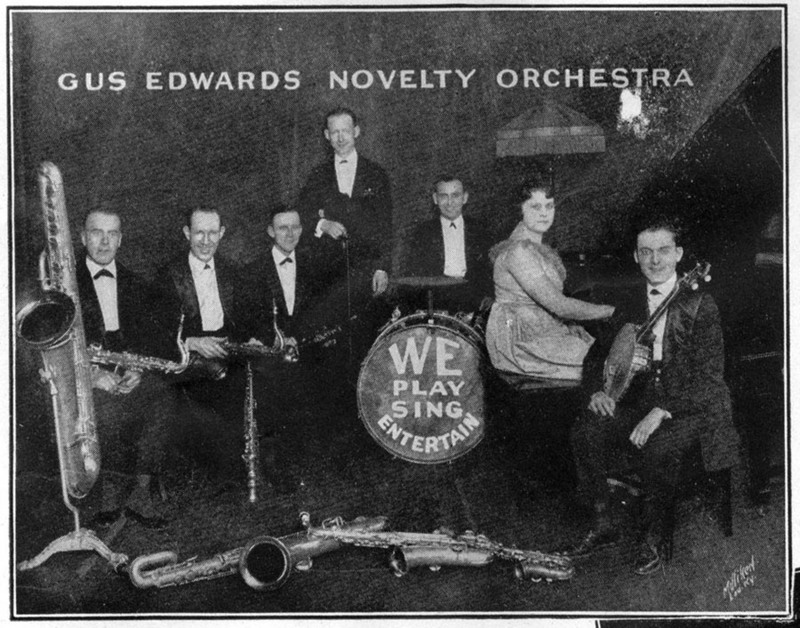 Mr. Robbins, the banjoist, has purchased a C Melody and Mr. Edwards, the drummer, purchased a bass. Mr. Shipman, the trumpeter, plays the baritone. The little soprano and C Melody I purchased for my own use from you about six years ago. We have just completed an engagement playing the Epply System of Hotels, the best in the middle west. This is our second engagement here in Louisville. Your instruments are responsible for a great share of our success. They are the 'best ever'. Cordially yours, - GLENN BURRS. 1. C. C. Conn Ltd. Musical Truth, Vol. XI, No. 30, Elkhart, Ind., May, 1922, page 21.